Open up. Breathe free and easy. 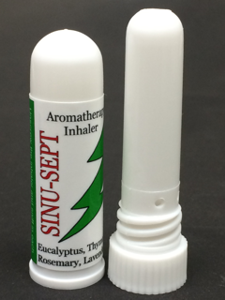 Simply inhale several times in each nostril for the benefits of this natural synergysitc blend of seven proven essential oils of Eucalyptus Globulus, Rosemary, Pine Siberian, White Camphor, Peppermint, Thyme and Lavender. Product Contains:100% pure essential oils of: Eucalyptus Globulus, Rosemary, Pine Siberian, White Camphor, Peppermint, Thyme and Lavender.